← Bristol Vintage Wedding Fair…THIS SUNDAY! We have the feelings of spring in our bones, exciting times a comin’, new adventures to be had and lots of weddings and gigs lined up. If only the weather would agree with us! We love a bit of snow as much as the next, but we really do feel ready for a bit of spring warmth and sunshine. We have been reminiscing about the Olympics, the busking, the festivals and the many gigs we played last year, we are craving flip-flops, brown freckly noses and playing our music outdoors again. The summer of 2012 really was epic for TTWU and 2013 is shaping up to be just as fun packed! Glammed up and ready for our audition. 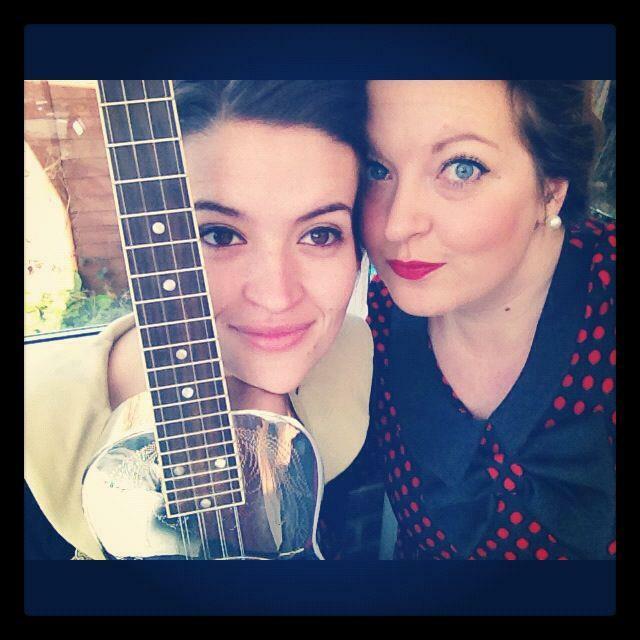 In other news, we played at a gorgeous vintage wedding fair at Bristol Zoo last week and what a beautiful day it was. So many amazing exhibitors showing off their remarkable skills, so many excited brides with their friends and families; we loved being a part of it. We played on and off all morning and got chatting to many who loved the vintage tones and the variety of our music. We are very much looking forward to each and every one of the weddings that we have been booked for and here’s cheers to the next fair. 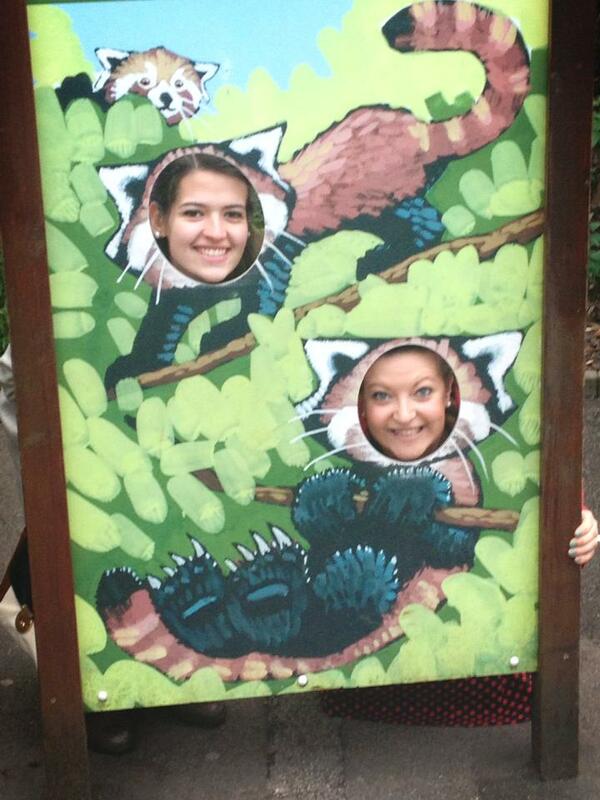 Enjoying a quick look around the Zoo in between songs – we’d make cute Red Pandas! We will be updating our gig list soon and uploading some new videos, so keep your eyes about you for plenty of TTWU action in the coming months.